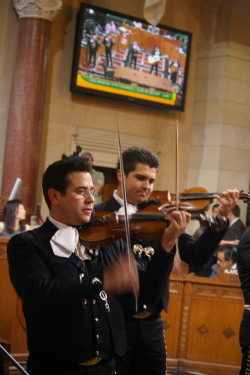 Fiesta City Hall: Mariachi music greeted council chambers this morning to promote the 19th Annual Fiesta Broadway being held this Sunday, April 27 where over 500 thousand people are expected to fill the Broadway corridor. Street closures for the largest Cinco De Mayo celebration are on a pdf at their website–– or listed at blogdowntown. Don't hold back. Tell me what you really think: EL Chavo's POV. RIght: Inside Chambers. Below. 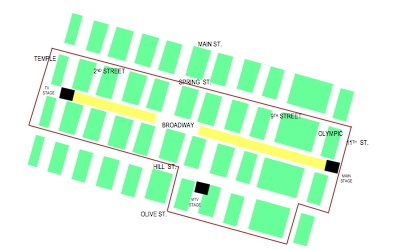 Map of Fiesta Broadway.